New Orleans is an exciting city to live in. Not only are there ghosts, great food, and music on every corner, it’s recently become a hub of activity for the film industry. Back in 2011, Rian Johnson chose to shoot his film Looper here. The time-traveling twister of a story used some of our dirty streets and abandoned buildings, but the best parts of the film happen in the middle of cane fields under wide blue skies. At the time the film was shot, I was living on the coast of Mississippi, about three hours away from set. I often daydreamed about making the drive and finding out where it was located, as I’ve been a fan of Johnson since his debut film, Brick. I kept following news about the film and Johnson’s wonderful Twitter, where he updated with photos from the set. I read every article I could about the film and generally anticipated Looper. He did, however, drop a few hints about where the filming took place. 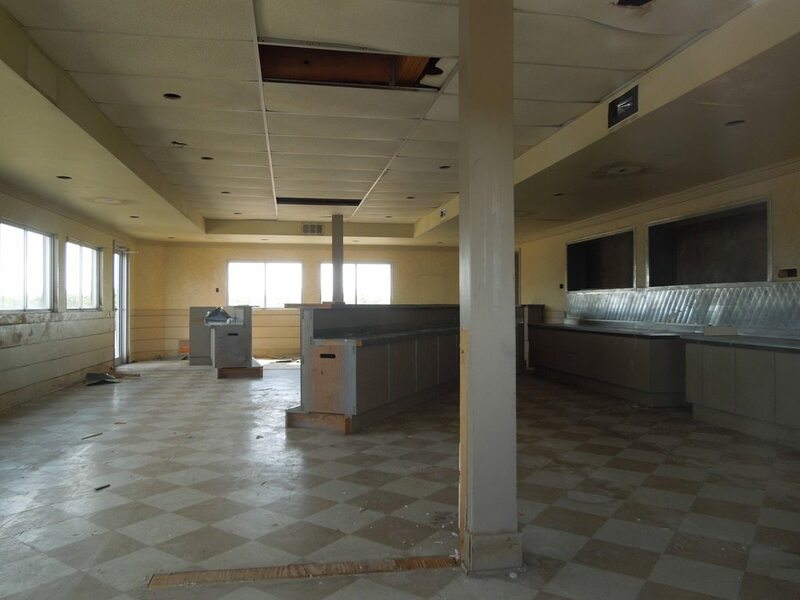 Entertainment Weekly posted some photos Johnson took on set and asked him to comment on them, one of which was the diner where a great shoot-out happens. 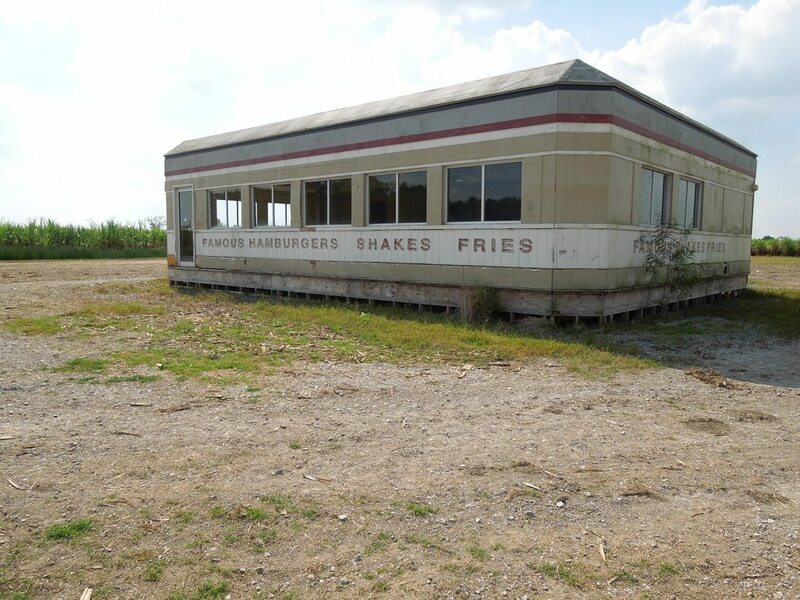 Johnson noted that someone contacted him and told him the diner was still standing after Hurricane Isaac, which had occurred a few weeks past. I realized it might be possible for me to find out where this place was and go check it out. I had since moved to New Orleans and had a free day. It seemed like a fun way to spend the afternoon and get some cool pictures from a film I really enjoyed. Johnson mentioned Thibodeaux, Louisiana as the filming site in that same article. I went to IMDB.com to check out their more detailed filming location, which said Napoleonville. Doing research showed that Thibodeaux was about an hour away from New Orleans, while Napoleonville was 25 minutes away from Thibodeaux. Looking at the maps, there was only one highway from the first town to the next, with nothing but farmland in-between. I didn’t have anyone to go with me, so I hopped in my car and started driving. I tweeted Mr. Johnson around 11:30 AM, hoping that maybe he had some recollections about where they filmed. He answered that he wasn’t sure, just somewhere around 15-20 minutes outside of town and good luck finding it. Not deterred, I continued driving through Thibodeaux until I reached Napoleonville where I turned my car around and started searching down different off-shoot roads. I gave myself about 15 minutes to drive down each road and if it looked too deserted, I would abandon it for the highway and try again. Johnson had said in other interviews that locals would drive past the set to ask when the diner was opening, so I knew it had to be a road that people drove down on a regular basis. It also needed to be wide enough for equipment and film crews to get through, so this eliminated many small ditch roads. Around 1:30 PM, I received a call from my mother. She chastised me for wasting my gas and I swore to drive down only one more road. I passed the set without paying attention. I craned around in my car to see indeed that I had passed it and swerved back to take some pictures. The set was in great condition on the outside. The doors were locked, but I pressed my camera against the windows to get some shots. The fields were just like the movie – I expected Joseph Gordon-Levitt to burst from them at any moment. I tweeted to Mr. Johnson again, where he replied, then posted to the Looper Tumblr. I went through all this trouble because I think Looper is important and it will be seen as a landmark film. I wanted a piece of film history. So many films right now are remakes, or franchises – this was entirely original sci-fi, on a limited budget, and it was a great success. I’m excited for Johnson, and the filmmakers he’s going to influence in his career. Maybe now studios will see it’s not such a risk to allow fresh blood and new ideas into the Hollywood system. He’s steering movies in a new direction and we need more directors and writers to take chances like him. You can see more photos from my trip at Imgur album Looper diner or check the coordinates of the diner. Bailee Grissom lives in New Orleans, Louisiana. She was a history student for three years, but decided to switch to something she’s really passionate about – movies. She’s currently finishing her film degree. She goes to the movie theater three times a week, then goes home to write, hopefully culminating in a successful career in the industry. Loved your post – sounds like a fun adventure. I did something similar with Brick. Knowing it was filmed in San Clemente, it turns out you can find many many of the locations pretty easily on Google Maps. 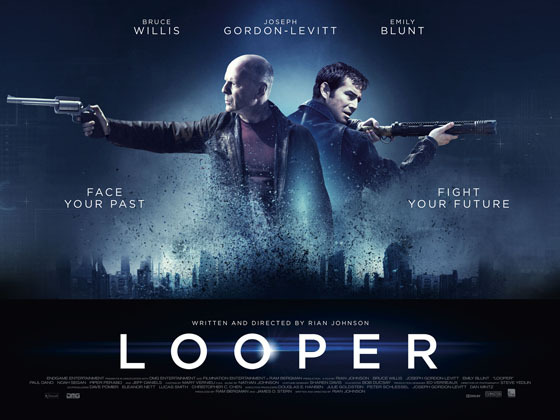 Why do you think there is anything memorable about Looper? I was disappointed with it myself. Did you realize the diner is located a very short distance from Sara’s (Emily Blunt’s) farmhouse? Follow the road heading east from the diner, and it is 0.3 miles ahead on the left. The final scene was filmed just east of that house. Thanks for posting the diner pictures and telling your story. Very cool.